We are excited about the release of our new website. With these changing times and technology improving so rapidly, it is critical for our customers and potential customers to be able to keep up with enhancements, new releases, and news and events about Oman Systems, Inc. We hope you find the site easy to navigate thru and enjoyable to read. Make sure to check out the “Products” page to learn more about our software and the “News” page to learn more about what’s happening here at Oman Systems. Thank you for visiting our site and let us know how we can assist you. 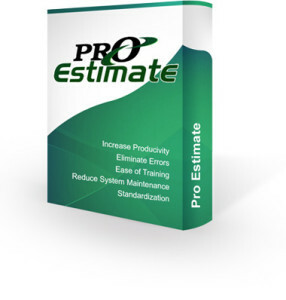 Oman Systems is pleased to announce the release of Version 9.0 of our ProEstimate Heavy system. You can download this update from our website (www.OmanCo.com). If you have any questions or suggestions, please do not hesitate to contact us. Added search filter within the master material database. Added Shared/Exclusive mode button on the main estimate screen (network version only). Added task level material pricing sheets. Added ability to rename a project by right clicking within the project list. Added ability to drag and drop .Heavy files from your desktop into the project list. Added option within bid report to only show the pay item description (not the pay item number). Added option to auto generate material code when importing materials into material database. Added support for .XLSX formatted spreadsheets when importing data into ProEstimate. Added ability to dupe a crew within the crew database (similar to duping a task within a project).